This is an unusual and eye-catching presentation perfect for all those who enjoy that modern edge. 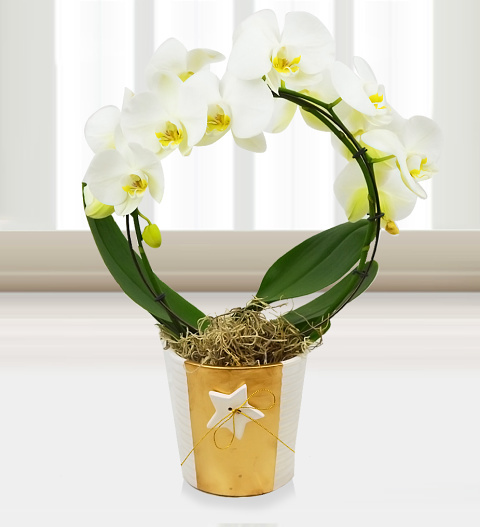 This orchid has been trained and secured into this circular shape for a mesmerizing appearance. We have also potted this plant inside a festive bucket to make it even more fitting for Christmas. Chocolates may contain nuts.